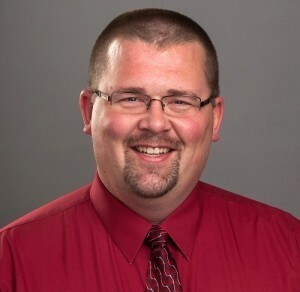 Jason Eblen was born in Fargo, North Dakota, and grew up on his family farm and home in Hillsboro, North Dakota, where he attended Hillsboro Public Schools. In his high school years, he developed an interest in the medical field. Jason attended a first responder course after his sophomore year in high school in 1995, then began volunteering for the Hillsboro Ambulance Service. Jason took a full time position at F-M Ambulance in the summer of 2001 while he continued his education at North Dakota State University. He began paramedic school at F-M Ambulance and Bismarck State College that same year. Jason was promoted to a Paramedic position at F-M Ambulance and continues to work full time as a field provider. Jason was a key contributor when F-M Ambulance implemented their initial system of live system status monitoring and demand analysis. In 2013, Jason took on a newly developed role as a Quality Improvement/Quality Assurance Specialist and SIM-ND Educator. As a SIM-ND educator, Jason participates in a grant-funded project providing mobile simulation education on high mortality-low frequency scenarios to rural ambulance services and critical access hospitals throughout the state in an effort to improve patient outcomes. In 2011, the Minnesota High School League recognized Jason for his role in resuscitating a high school basketball player who experienced sudden cardiac arrest during a game at a rural school and was subsequently able to return to the court. In addition to his previous volunteer service with Hillsboro Ambulance, Jason was a member of the ND EMS Association Board of Directors for several years. He also volunteered as a reserve deputy sheriff for the Cass County Sheriff’s Office. In his spare time, Jason appreciates working with computers, firearms training, and spending time with his family. He is also an avid NDSU football fan. Jason is married to his wife, Tiffany. They live in Reile’s Acres with her sons, Tristan and Trenton, and a Shih Tzu-Bichon cross, Max.